After covering the 1920's (list found here) and the 1930's (here), it's time to move into a pretty iconic decade of cinema, the 1940's. These are my ten favorite achievements released during those ten years. 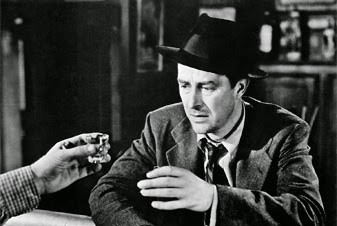 Director Billy Wilder unleashed this Best Picture winning film on the world in 1945, telling the troubling story of a man losing his battle with alcoholism. It feels a bit over-the-top and melodramatic at times, but it is still an impeccably crafted work that certainly gets its point across, showing the damage that can be done by the disease. 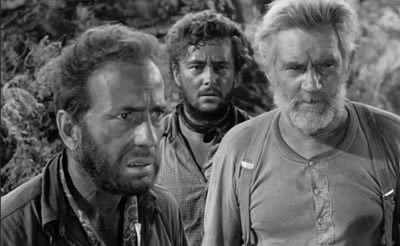 A classic western adventure film, The Treasure of the Sierra Madre tells the story of three men on a search for gold in the Sierra Madre mountains. Thematically the film focuses on the way greed corrupts humanity, turning men once in cahoots against each other and having one of these characters be played by Humphrey Bogart only enhances the relevancy of this film nearly 70 years after its release. 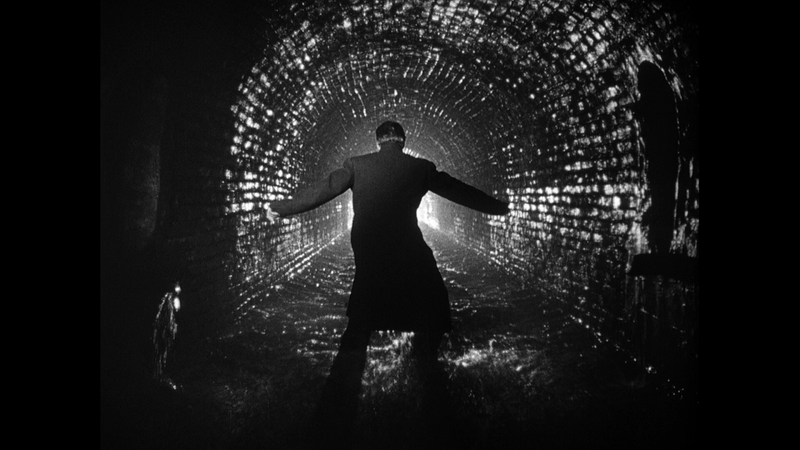 A noir that thrives on its atmosphere, The Third Man is a film I would recommend even if it were watched with the volume muted and no subtitles. Just literally seeing the movie is a hell of an experience thanks to the cinematography alone, but when you add in the performances and that brilliant musical score? Dynamite cinema. A man desperate to find work in Rome shortly after the conclusion of World War II receives an offer to hang advertising around the city, but owning a bicycle is a requirement for the position. After his wife Maria sells a valuable possession to a pawn shop in order to acquire one, things are looking up for this poverty stricken family until the bike is stolen on his very first day on the job. 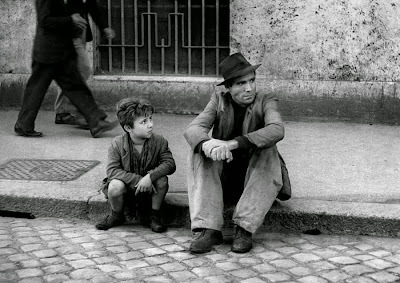 A heartbreaking yet beautiful film, and certainly one of the greatest landmarks from the 1940's. 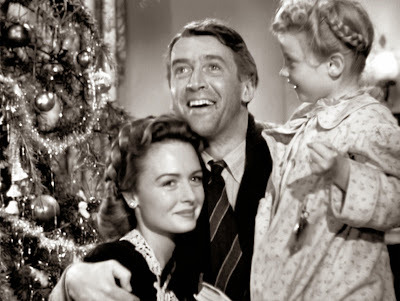 I may be beginning my transformation into a bitter, old man, but I still absolutely cherish Christmas and what it represents. I think about the warmth and comfort of being indoors as winter rages on outside, a mug of coffee in my hand while watching films that perfectly suit the season. It's a Wonderful Life is without a doubt one of the greatest holiday cinematic achievements of all time, a staple for many every single year and it's easy to understand why. I'm sure for many having this one listed at only #5 of its decade is blasphemy, as Citizen Kane is widely regarded as perhaps the greatest film of all time. 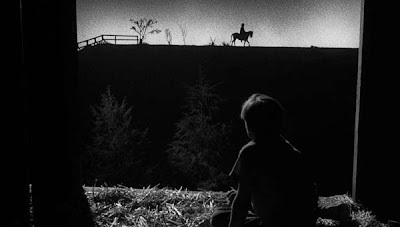 I may not hold it in that high of esteem but its still impossible not to admire the stunning craft of this work by Orson Welles. 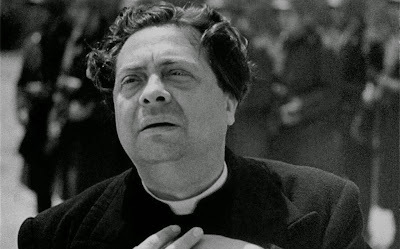 Released in 1945, Rome, Open City depicts the all too real events of what took place in a Nazi occupied Rome only a year earlier, so yeah, it's safe to say the power of this film was still hauntingly fresh. Seeing this one for the first time only a couple of years ago, I was blown away by the pain depicted in the movie so I can't even imagine how hard it would have been to see it having gone through the actual experiences personally. A tremendous achievement by Roberto Rossellini. 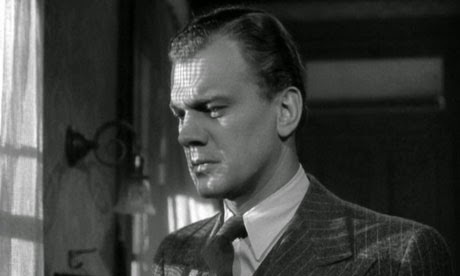 One of two Hitchcock films to make the top three on this list, Shadow of a Doubt is a chilling movie about a charming man affectionately referred to as "Uncle Charlie" by the relatives he is staying with and the daughter of the family, also named Charlie, who sees something dark and sinister behind his facade. 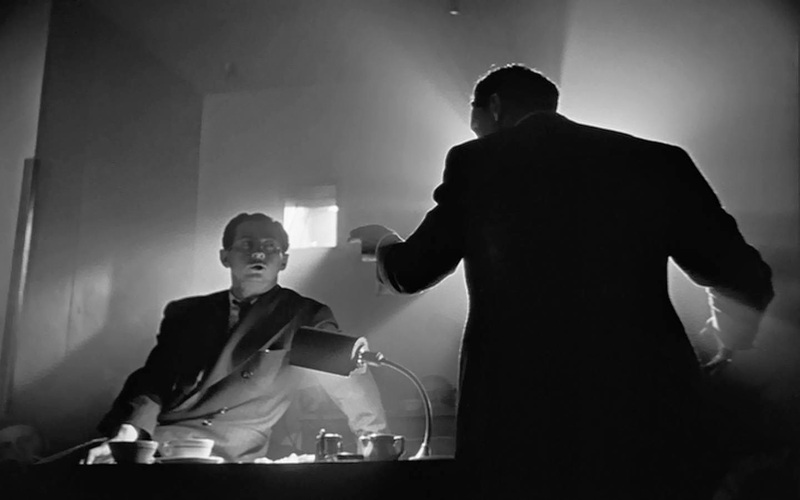 Brilliantly performed and having that exquisite Hitchcock touch to the whole experience, Shadow of a Doubt is a top notch film. Hey, you guys ever heard of this one? 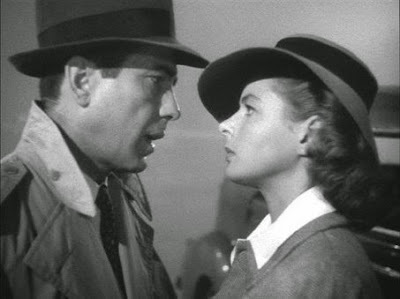 I decided to get a little unpredictable and obscure with my number 2 selection, a little film that has flown under the radar for over 70 years called Casablanca. No, seriously though, this is considered a cinematic treasure for a well deserved reason. Bogart and Bergman are timeless and perfect in a frame together. Decided to end the 1940's with a little bit of color. 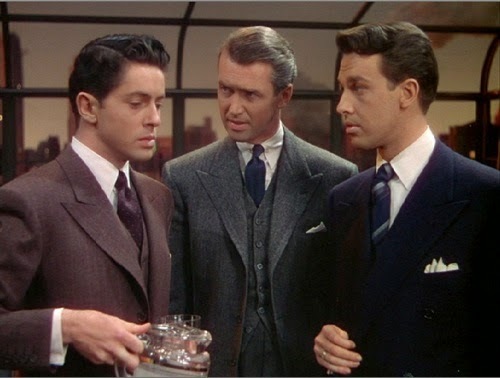 Prior to seeing Rope, I had heard it was a bit of a lesser Hitchcock when compared to his other, iconic releases, so imagine how I felt when I was floored by this absolute masterpiece. Best known for being experimental by taking place in real time and using editing trickery to appear to only use one single continuous shot throughout (which was a trick recently utilized by the Best Picture winning Birdman), I was drooling over the perfectly executed long takes and loving the sinister concept of a party going on literally around a dead body hidden right under their noses. 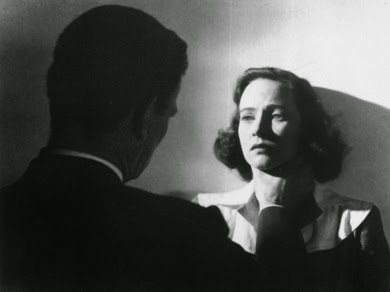 Rope is, without a doubt, my favorite film from the 1940's. Next up, the 1950's. Thanks for checking out my lists, would love to hear some of your favorites from these decades.